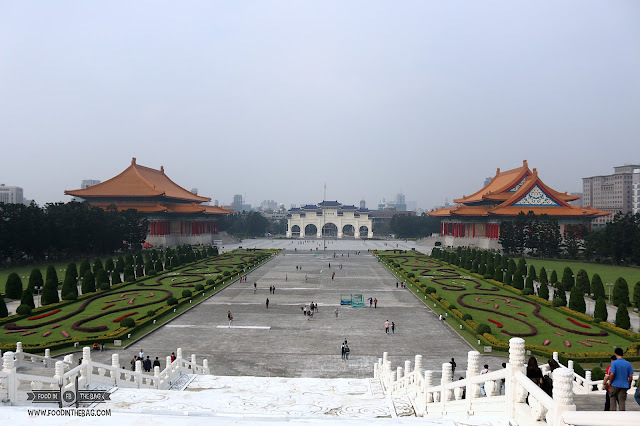 TOURING AROUND TAIPEI: THINGS TO DO WHEN VISITING FOR THE SECOND TIME. 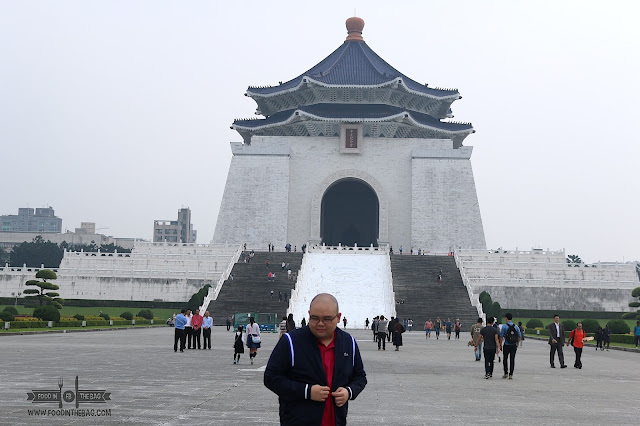 It was my second time to visit Taipei. In just under 3 months, I have returned to this beautiful city to experience it more fully. This leads to the question "what are the other things to do here?". 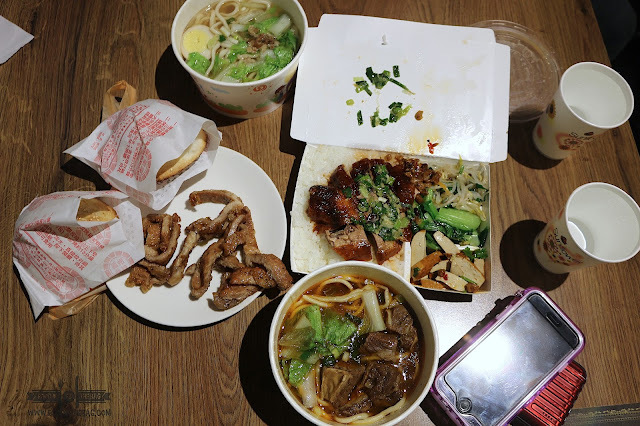 One thing is for sure, the food is always a must when visiting Taiwan. Different dishes are there to greet you that could only be seen here. 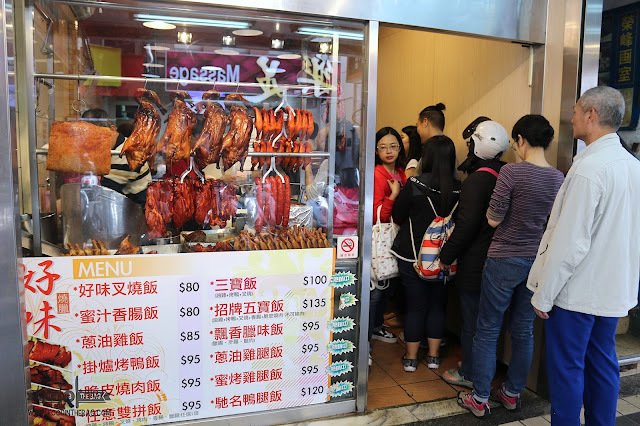 From noodles to pork chop to pepper buns and even roast meat, I definitely enjoyed and ate my way around the city. Plus, it's affordable. If you're okay with going at it hole in the wall style, Taiwan would be the perfect destination for you. If you're staying near XIMEN or The Taipei Main Station, one of the few places to visit would be the underground mall. If ever you find yourself here, there are a couple of stalls to try out. 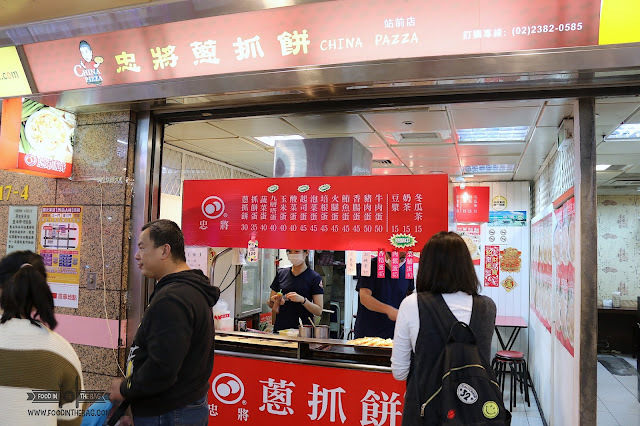 The first one would be CHINA PAZZA selling the SCALLION PANCAKE. 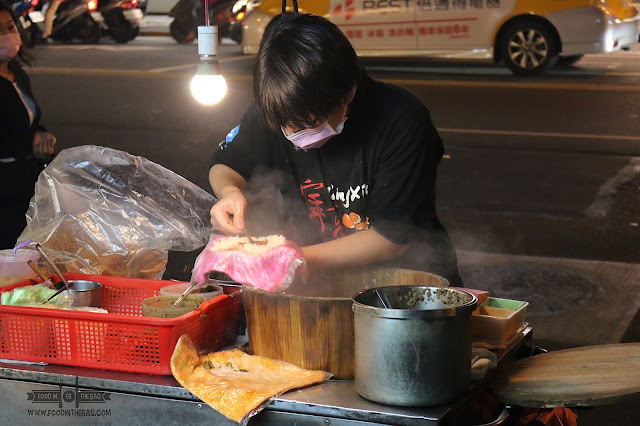 Although not everyone in Taipei speaks English, you could some how communicate through sign language and even point to your preferred toppings. 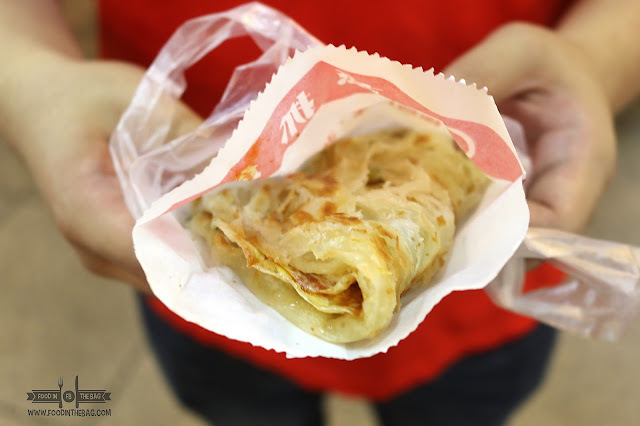 Imagine roti but with a bit more flakiness outside and chewy texture inside. 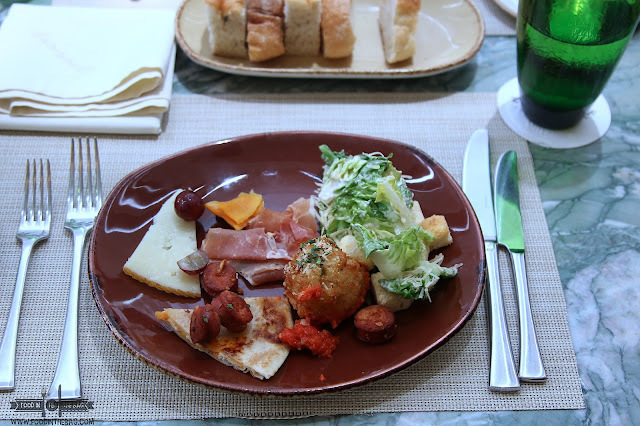 This would be a great meal to start your day touring around Taipei. Remember that you will be eating all through out the day so it would be nice to pace yourself. 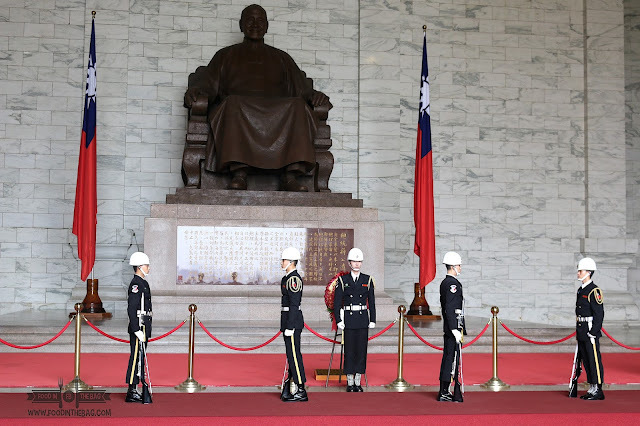 One thing that Taiwan is known for would be their TAIWANESE NOUGATS. These sweet and chewy snacks are perfect gifts for when you return back home. Thankfully, there's one near the escalator on your way to the underground train station. If you buy a few, this kind lady would even add a couple of freebies. Yes, there's free taste as well. I was able to purchase some from PINGXI on my previous trip but it was a bit more expensive and is not as home made and traditional as this one. 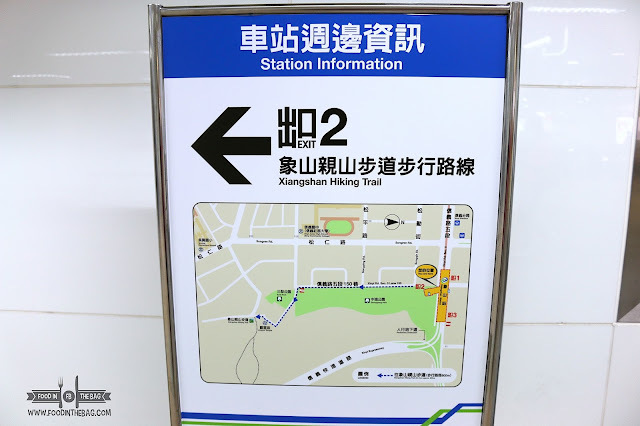 From TAIPEI MAIN STATION, hop on the train and head on over to the CKS MEMORIAL HALL stn. Just a couple of stops away, don't worry it's worth a visit. Once outside, you are greeted by a huge square with different buildings. You get to see and feel a bit overwhelmed with how grandiose and amazing the place is. 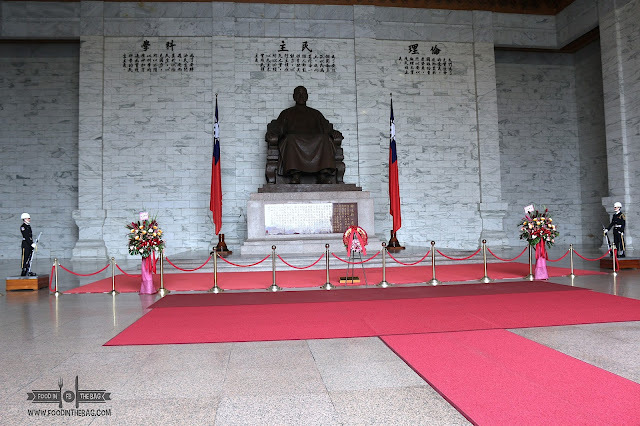 This is where the NATIONAL CHIANG KAI-SHEK MEMORIAL HALL is housed. One reason to visit this place would be to witness the changing of the guards. Done every hour, from 10am to 5pm, you get to see an exhibition of skills. Don't forget to visit the mini-gallery on the side rooms. Here, there are different displayed items and memorabilia and even photos of the late great leader. After witnessing the guard change, you get a view of the square. Yes there are around 89 steps to enter the hall but if that's a bit difficult there's elevator access on the side as well. 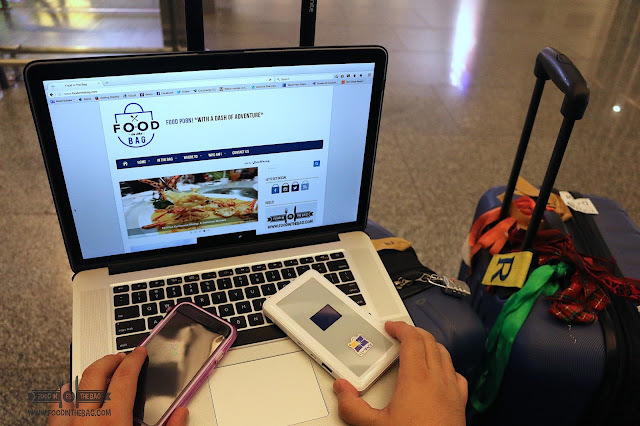 By this time, you could go to a restaurant and enjoy some late lunch or even do a bit of shopping. 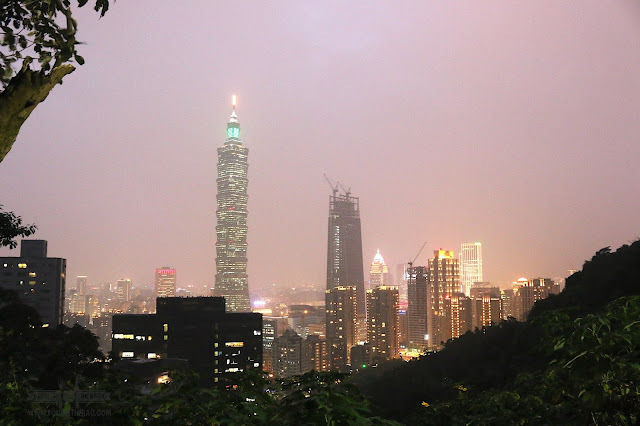 If you haven't been, you could also visit Taipei 101. If you ever wondered about those beautiful photos which features Taipei 101, those were probably taken from ELEPHANT MOUNTAIN. Very near Taipei 101 and also known as XIANGSHAN HIKING TRAIL, this is where you get to have an amazing view of the city. It's quite a walk going up and some parts do not have a handrail but it's all paved. When you go, I would suggest that you bring some water, insect repellent and maybe a small towel. It takes around 30 minutes to get to the view deck but I would say give yourself an hour or so just to experience everything. Go late in the afternoon and remember to check the weather. 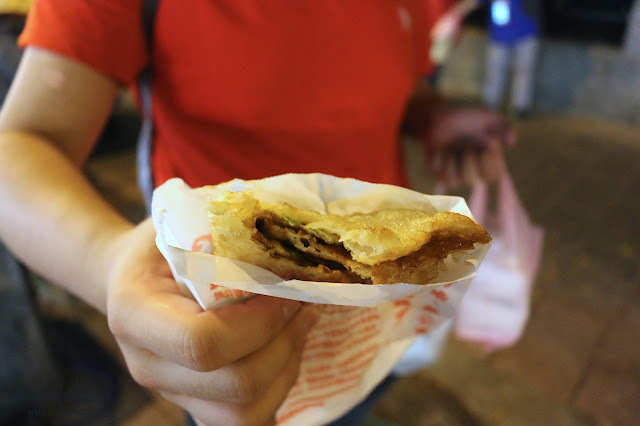 I'm guessing that you would be hungry as much as I am so dinner is usually a must at a night market. Even if there is a vegetarian restaurant near the entrance to the Elephant mountain, night markets seems to be the way to go. Present all over the city, you get a lot of choices when you visit one. Popular choices would be Shilin and Raohe. If you haven't been there, I suggest you go. But, if you're already tired of the usual try to visit NINGXIA night market. It's not as popular with the tourists as RAOHE and SHILIN, but NINGXIA is more a local's favorite. 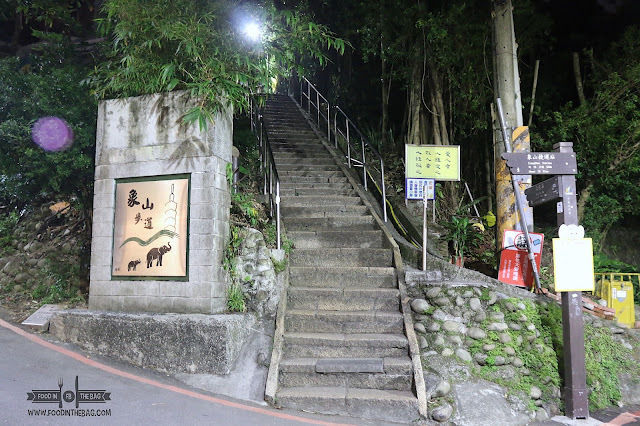 Located near the Shuanglian MRT and the ZHONGSHAN MRT, it's a bit of a walk to get here. Just follow the crowd and you'll find yourself right at the center. One might say it's not as big but it does deliver a few specialties with some establishments open for already 40-50 years. Of course my personal faves are also present in this night market. 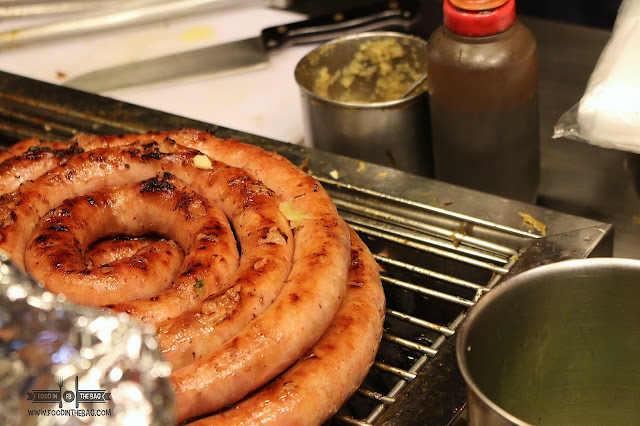 The sausage on a sticky rice bun and also the scallion pancakes are readily available. 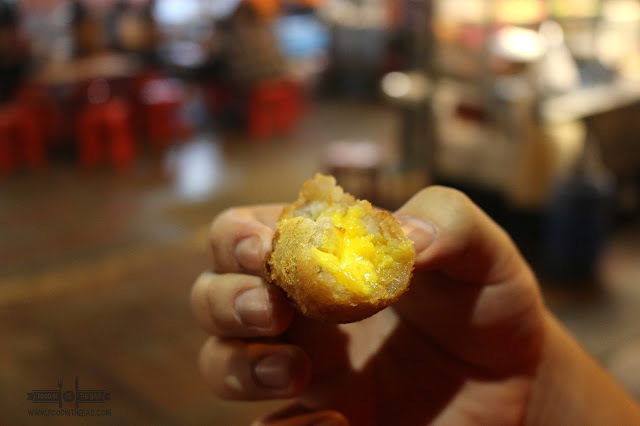 If you haven't you could also go for the stinky tofu, oyster omelette, and those grilled and deep fried meats on a stick. 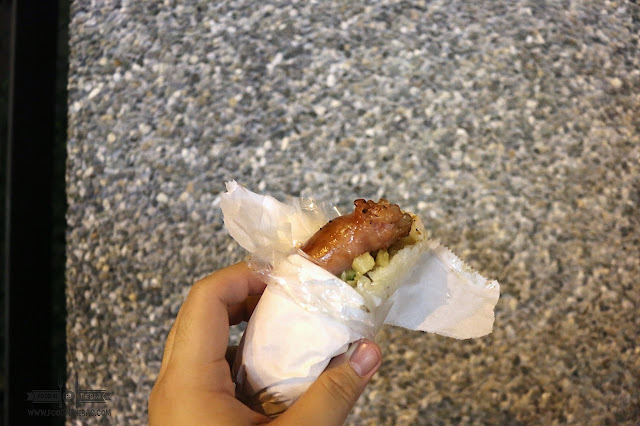 Another stall that had a long line would be these affordable Taiwanese Rice Balls. You could actually choose between a small one and a big one but after lining for almost an hour, my brother and I went for the latter. 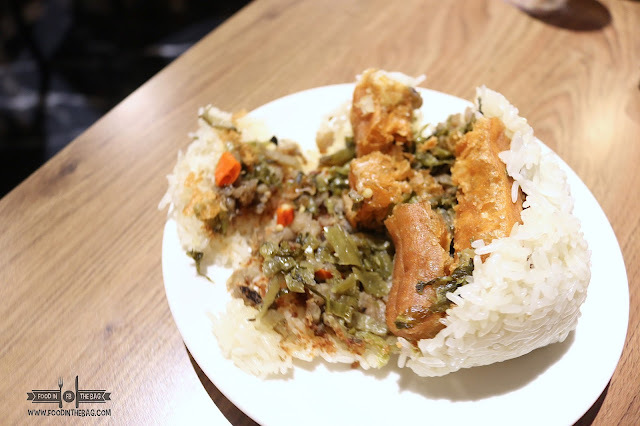 It's actually rice that is filled with crushed peanuts, meat, vegetables and fried bread similar to youtiao. It's pretty good considering that it's also affordable. If memory serves me right, it's less than 60 or 80 NTD. Writing about my visit makes me want to return again. 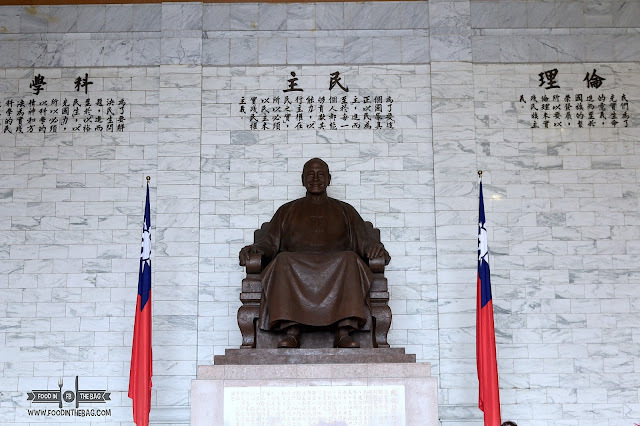 I think I still have a couple of articles to write about that's related to Taiwan. I hope you enjoy the read. 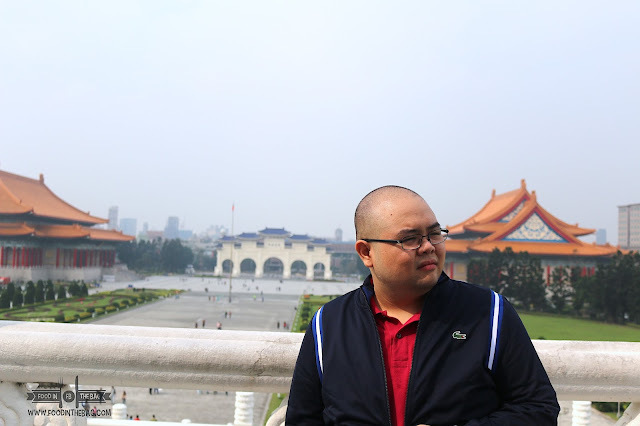 Do you guys have any tips or tricks when visiting Taipei? I would really love to hear from you as I plan to visit it again in the near future. Disclaimer: Wrote this based on my experience. Please verify other information as they may not be current anymore.